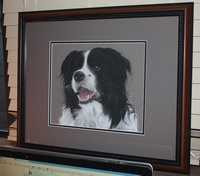 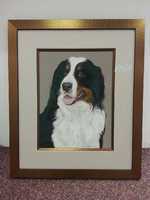 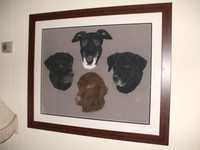 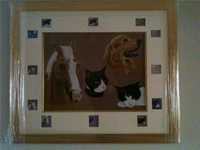 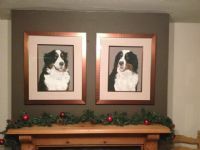 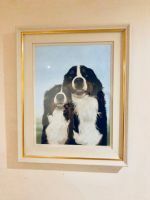 Some of my customers have very kindly sent me photographs of the finished portraits framed. 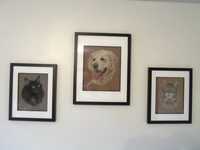 Having them framed professionally really does show the portrait at its best. 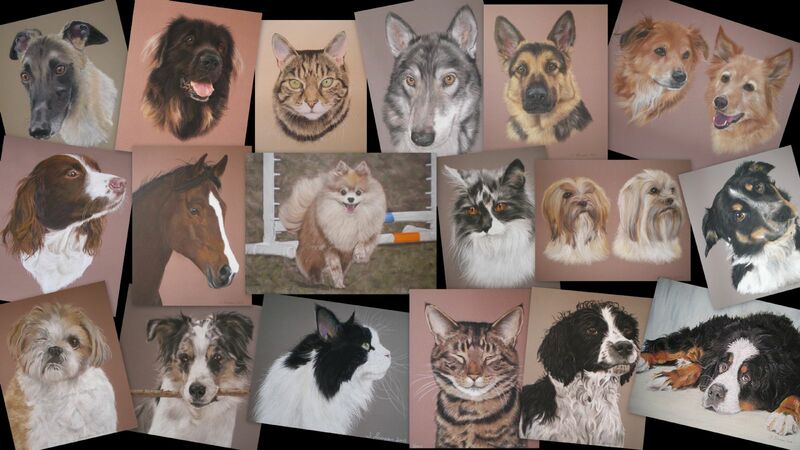 Also here are a selection of letters I have received from previous customers. 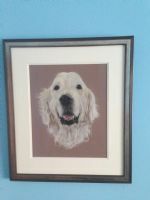 Barney sat proudly with his portrait. 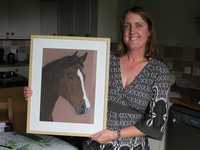 Nicky with the framed portrait of Bella.